What a delight it was to me to open the beautifully printed little volume of verse4! I am so glad you had them printed. They are all too lovely to be lost. I think I like "Together," "The Top of the Hill," "Dunluce Castle," and "Star Island" best, and of course, "The Gloucester Mother. "5 In re-reading one often adopts new favorites, but I am sure these will always be among the ones I like best. It is a rare and lovely book to come at Christ mas time. I am glad to find Dr. Eastmann's6 initials7 in the front. Please remember me very warmly to him. I spent six months in the West this year, three of them with my mother8, who was ill. She was much better when I left her, and I got back to New York2 on Thanksgiving day. I am riotously well, after three months of horseback riding in New Mexico9 and Wildest Wyoming10, and three months of housekeeping in which I fairly mastered the kitchen range and became no mean cook. Last night I dined with Arthur Foote11 and his daughter Katharine12, who sails today to join the American ambulance service in France13. I am going down to the boat to see her off. Mr. Foote looks very frail, but Katherine seems quite fired by her new purpose. I remember Mrs. Fields14 used to say of her; "It's an artless child." She seems very serious in this. We cannot, any of us be very happy while this war drags on. There is a kind of deep discouragement underlying everything. I have not heard of or from Miss Guiney15 for long, long, and I often wonder how the changes of the war have affected her life at Oxford16. Please send me a note one of these winter days, dear Lady, and tell me how you do and how your household moves. I hope for the happy hour when I shall see you again. Will you remember me to Mrs. Tyson17? And let me send to you a very warm heartful of love. With other good things, may this New Year give us a happy hour together. Document is two leaves, handwritten on recto and verso of first leaf, and verso only of second leaf. Sarah Orne Jewett submitted this poem to Cather for publication in McClure's Magazine, where it appeared in October 1908. "TO T.J.E." appears on the dedication page of the volume. 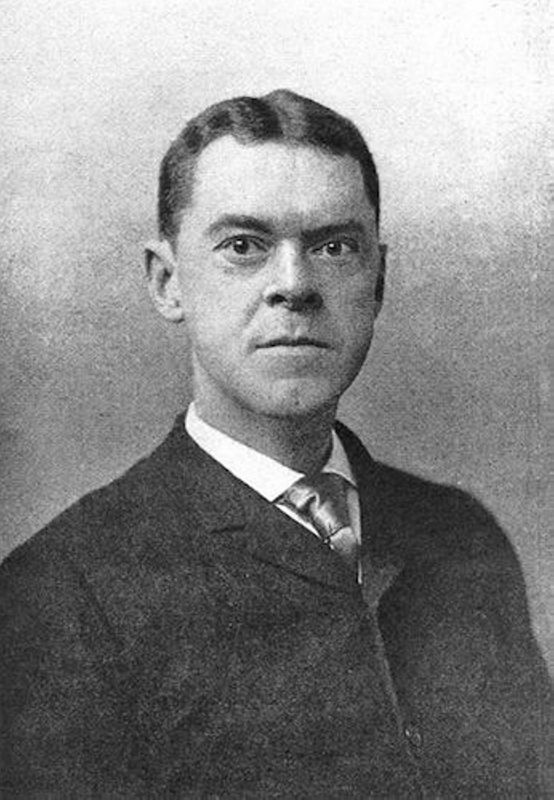 Eastman, Theodore Jewett (1879-1931). American physician, Sarah Orne Jewett’s nephew. Born in South Berwick, ME, to Edwin Calvin Eastman and Caroline Jewett Eastman, who was the sister of Sarah Orne Jewett and Mary Rice Jewett, Theodore Eastman graduated from Harvard College (1901) and Harvard Medical School (1907) and practiced medicine in Boston, MA. When Mary Rice Jewett died in 1930, he became executor of Sarah Orne Jewett’s literary estate but died not long afterward. He bequeathed his aunt’s papers to the Widener Library at Harvard. Foote, Arthur William (1853-1937). American composer, pianist, and organist. Born and raised in Salem, MA, Arthur Foote studied piano and music theory at the New England Conservatory of Music and Harvard University; he received a B.A. from Harvard in 1874 and an M.A. in 1875. He traveled regularly to Europe in the summer, attending the first Bayreuth Festival and the premiere of Richard Wagner’s Ring des Nibelungen. In 1880, he married Kate Grant Knowlton, and they had one daughter, Katharine. In Boston, he was part of the social circle of Annie Adams Fields and Sarah Orne Jewett; Cather apparently met him in 1908 at 148 Charles Street. Raffy, Katharine Foote (1881-1970). American soprano. 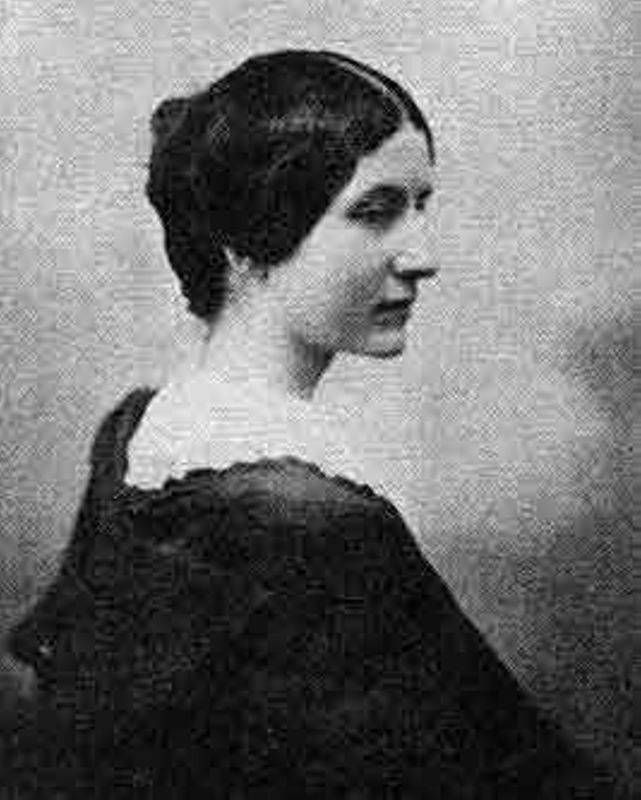 Born in Boston to composer Arthur Foote and Kate Knowlton, Katharine Foote trained and performed as a soprano. 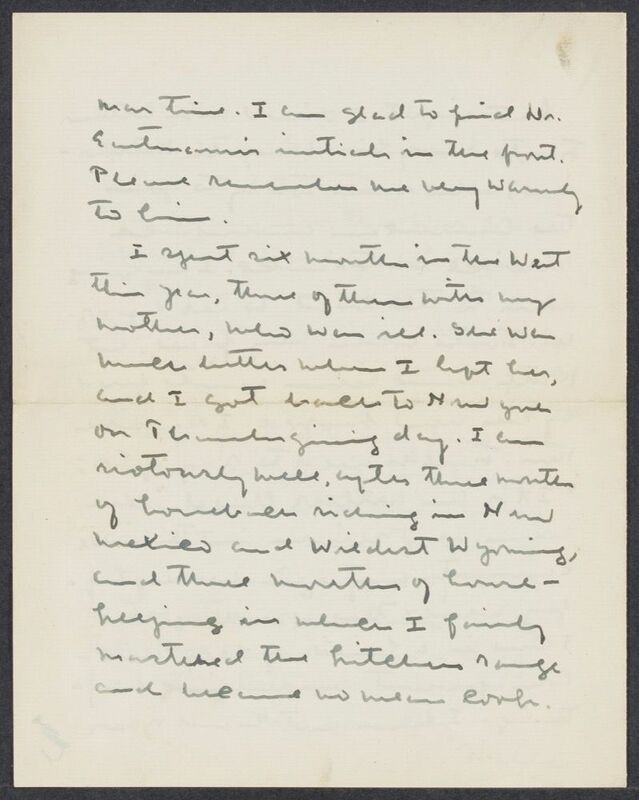 Cather apparently met Katherine Foote and her father in Boston in 1908 through Annie Adams Fields and Sarah Orne Jewett. In 1916 Katharine Foote went to France as a member of the Voluntary Aid Detachment, caring for wounded soldiers in hospitals, an experience documented in her book 88 bis and V.I.H. 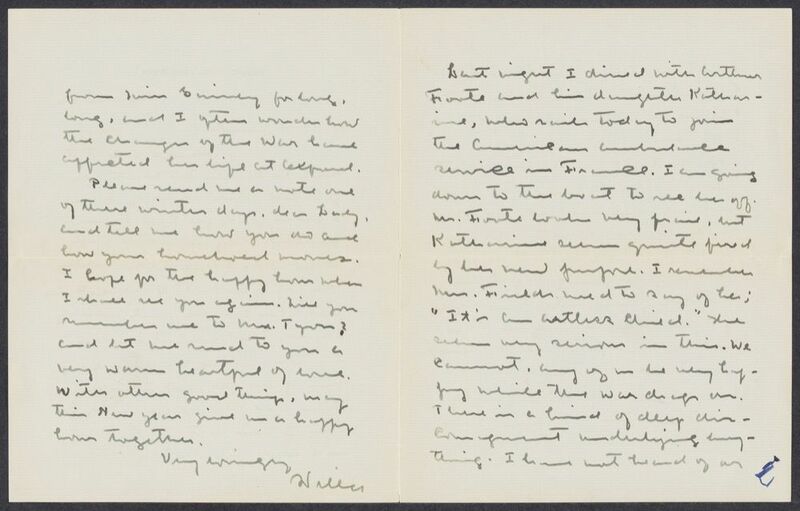 : Letters from Two Hospitals (1919). She married Frenchman Henri Raffy, whom she had met during her V.A.D. service. Katharine Raffy persuaded her father to write his autobiography late in his life, and she arranged for its 1946 publication and wrote a preface to it. Fields, Annie Adams (1835-1915). Literary hostess, author, and social reformer. At age 20, Annie Adams married James T. Fields, partner in the Boston publishing house of Ticknor & Fields. Both before and after her husband’s death in 1881, Fields often entertained important American, British, and European authors at her home at 148 Charles Street in Boston, MA. After James’ death, Sarah Orne Jewett, whose books were published by Ticknor & Fields, began sharing Annie’s homes at 148 Charles Street and Manchester-on-the-Sea, MA. 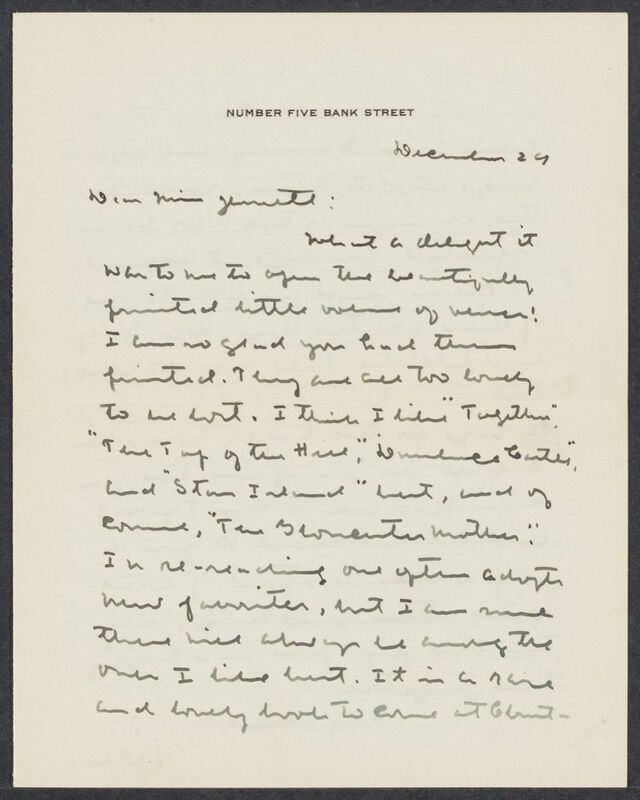 Cather met Fields in Boston in 1908, a meeting Cather described in "The House on Charles Street," an essay reviewing Memories of a Hostess (a volume of selections from Fields' journals, 1922). A revised version of this essay, retitled "148 Charles Street," appeared in Not Under Forty (1936). 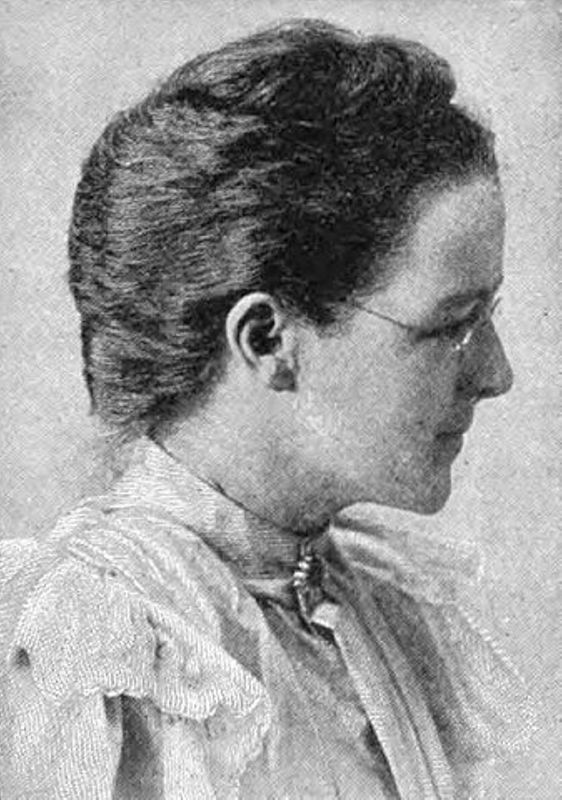 After Jewett’s death in 1909, Fields edited The Letters of Sarah Orne Jewett (1911), which included several letters to Cather. Fearing that 148 Charles Street would become a museum after her death, Fields requested that it be torn down. Tyson, Emily Davis (1856-1922). American socialite. Born into a wealthy and socially prominent family in Philadelphia, PA, Emily Davis married George Tyson, a wealthy Boston, MA, widower with three children, in 1875. The Tysons lived on Dartmouth Street in the Back Bay neighborhood, where Annie Adams Fields was a neighbor. In 1881 George Tyson died, leaving Emily Tyson a substantial fortune. At the urging of Sarah Orne Jewett, in 1898 Emily and her step-daughter Elizabeth Russell Tyson (Elsie) bought Hamilton House (built 1787-1788) in South Berwick, ME, turning it into a highly romanticized inaccurate vision of a colonial-era estate. 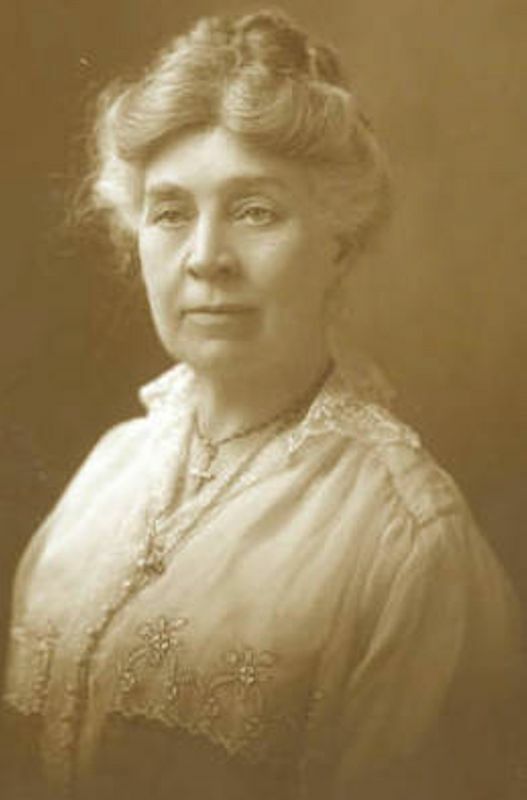 Jewett made Hamilton House a key setting in The Tory Lover (1901), her historical novel of the American Revolution. Cather evidently met Emily Tyson, either through Annie Fields and/or Sarah Orne Jewett or through Jewett’s sister Mary Rice Jewett.